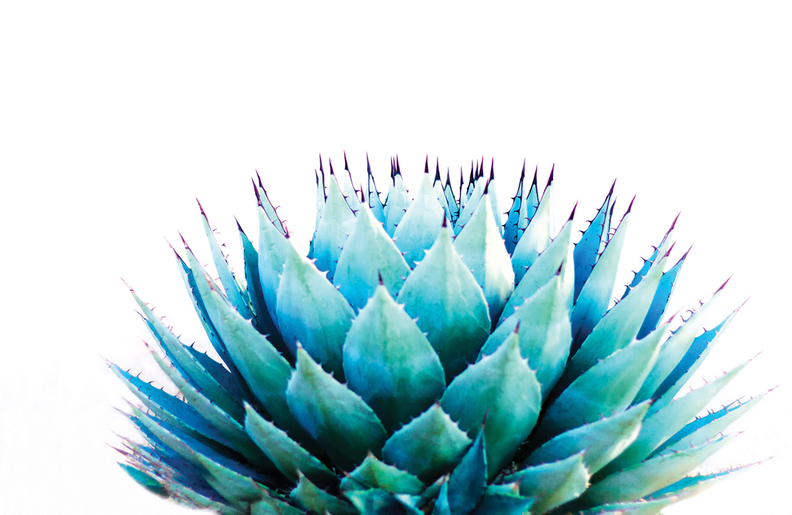 Drowning your sorrows in tequila doesn't produce much more than a hangover, but the blue agave plant from which that liquor springs is fueling some intriguing medical research. The blue agave plant is already being investigated as the source of treatments for osteoporosis and​ lowering blood glucose, and now is being used as the raw material in a bio-skin to treat second- and third-degree burns. The research by Mexican company Bioimplants involves creating microporous patches that can be grafted onto burned skin, allowing for the regrowth of the affected individual's cells. The patches are made with the agave's bagasse—the fibrous matter remaining after the plant has been crushed to extract juice. The bagasse is reduced to a gel, dehydrated, then modeled as needed for the affected area. A quarter of one blue agave pineapple (the core of the plant) can help produce 1,000 dermal implants of 5-by-7 centimeters. "The material simulates a mesh that, when grafted, allows the growth of the patient's cells; coming from the same DNA of the damaged individual, the tissue regenerates with a color similar to the one he has always had," Michael Sullivan Barrera, commercial director of Bioimplants, told Mexican magazine Investigación y Desarrollo. Almost any type of plant can be used to make the patches, but blue agave was chosen because it has resistance to high temperatures, which is required to submit the product to sterilization, and its sugars help retain moisture, which is critical in treating burns. Alas, the blue agave doesn't yet seem to promise any hangover cures. So be careful with those shots.